So, 24 hours after chemo, I have to go get a shot to boost the production of my bone marrow to try to prevent excessive fatigue or infections or bleeding. Luckily, my local doctor’s office is willing to give me the shot so I don’t have to drive the half hour into the Regional Cancer Center for a five-minute wait for a nurse to give me a shot. One of my fears was I would forget to pick up the shot from the pharmacy after chemo and then be forced to come back to the RCC. The pharmacy actually brought the shot out to me so I didn’t have to worry about forgetting. One of the side effects of boosting your bone marrow production, particularly in younger people who are starting with higher levels of bone marrow, is bone pain. The doctors and the nurses all told me to expect it, but it bothered me much less than I feared it would. I felt like I had the flu, without the fever. My whole body was tender, particularly along bones like my pelvis, spine, ribs, and skull. My head probably hurt the worst, along my cheeks, jaw line, and back of the neck. Even though my body was sore, it never really slowed me down or affected my ability to do anything. I did notice it most at night when I was going to bed. 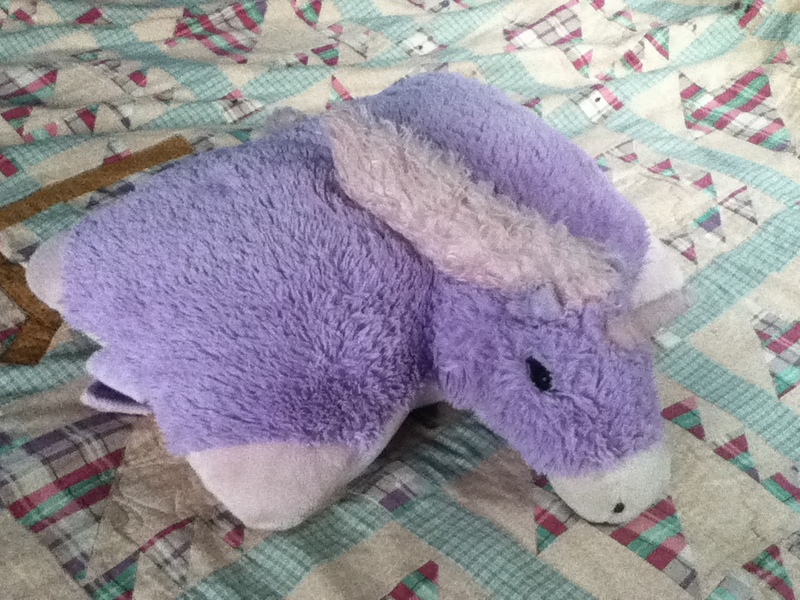 For a couple of days, I slept with my daughter’s Pillow Pet down at my legs. If I slept on my back, my knees fit perfectly over the sides of the pillow and were propped up in a comfortably bent angle. If I slept on my side, I put the side of the pillow between my legs and again, was much more comfortable. I slept great at night and had no problems going to sleep, and part of that was due to being more comfortable in the legs with the Pillow Pet – highly recommended! Wow I wish you the best with your journey. My thoughts and prayers will be with you! My Mother battled breast cancer 3 years ago, defeated it, and is cancer free today!